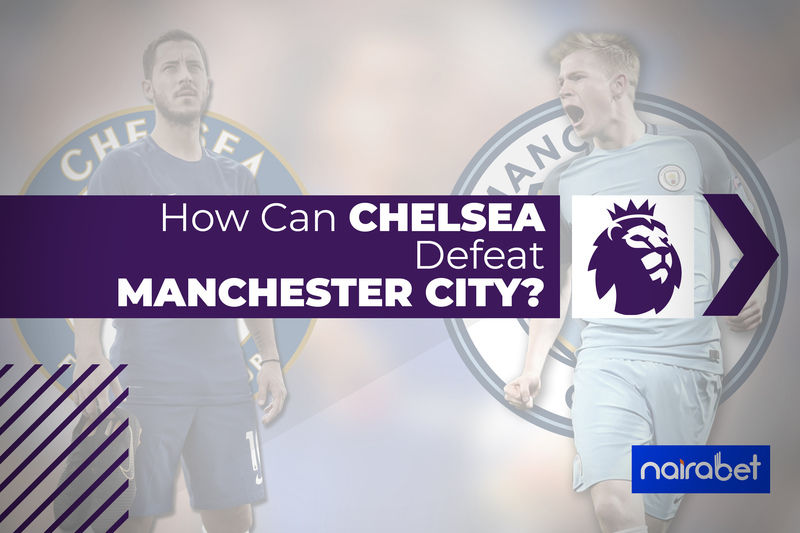 How Can Chelsea Defeat Manchester City? 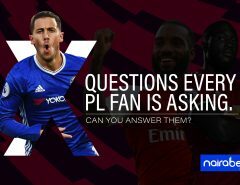 This (and its other variations) is arguably the most asked question in the Premier League these days. Since becoming Centurions, Manchester City has become even harder to get past. Currently unbeaten in the league this season, their numbers are somewhat incredulous. They have scored 45 goals this season – an average of 3 per game. That’s 11 more goals than the second-best scoring side in the league, Arsenal. With 7 goals conceded, theirs is the league’s second-best defense, one behind Liverpool. The London Blues may have lost 2 league games this season. But all of those losses have come away from home. No team has been able to defeat them at the Stamford Bridge this season. Their unbeaten home run includes a Manchester United draw, a Liverpool draw and a win over Arsenal. All three games ended with both teams scoring, remember? Can Chelsea and Manchester City score in this game? Both times Chelsea faced Man. City last season, it ended in defeats for them. In both games, they weren’t even able to score a goal. Talk about being soundly beaten. But Antonio Conte, not Sarri, was at the helm of affairs at the time. There was no Sarri Ball at the time. But now, there is. And the Londoners can count on it to defeat Manchester City. Team to win the first half: Chelsea or Manchester City? From afar, the Man. City set up looks like a perfect one. The squad looks like there’s just no finding any fault in it. From the goalie to the strikers, everything looks perfect. Benjamin Mendy’s injury has left Pep shuffling Fabian Delph and Zinchenko at the left back. Although both names pull their weight every now and then, they have been seen to cave in under consistent pressure from opposition teams. A Willian/Hazard can easily help Sarri to achieve the goal of exploiting this weakness of City. It may not sound like much but it’s worth looking into, especially when your team has been priced at 3.95 odds to win on NairaBET. We know. We can almost hear it as you read this post. With the way City has handled teams in the top 6 this season – Manchester United, Arsenal, Tottenham and even Liverpool – it’s almost impossible to see Chelsea winning. But this is football, right? And anything can happen, yeah? In light of this, what do you think will happen on Saturday when Chelsea takes on Manchester City? Which blue side will win: the London Blues or the Manchester Blues? Leave us your comments and share your views with us.